Mary Adelaide of Cambridge was born on 27 November 1833 as the daughter of Prince Adolphus, Duke of Cambridge, the youngest surviving son of George III and Charlotte of Mecklenburg-Strelitz, and Princess Augusta of Hesse-Kassel. It had been more than a decade since Augusta’s last pregnancy, and the family was quite surprised. 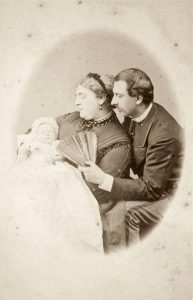 The christening of the newborn Princess took place six weeks later, and of her godparents only her elderly aunt Elizabeth, Landgravine of Hesse was present. Adolphus was the Viceroy of Hanover on behalf of his brothers George IV, and William IV and the family lived in an official residence in Hanover with an income of £27,000. In the summer of 1836, Mary Adelaide was presented to her uncle William IV at Windsor Castle. He would die the following year, and he was succeeded by his niece, Queen Victoria. The Kingdom of Hanover was under salic law and so another uncle, The Duke of Cumberland, became King there. Adolphus was no longer needed as Viceroy. The family immediately moved back to England. They moved into Cambridge Cottage at Kew, where they lived with a rather small household. At the age of 7, Mary Adelaide was appointed a governess whose name was Miss Draper. 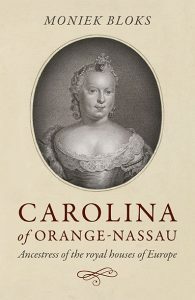 She began to have lessons on a regular basis and was taught subject suitable for a young lady. She learned her own history and was not a fan of King Henry VIII, “Can it be possible that when I go to heaven I shall meet that murdered Henry VIII? Never! 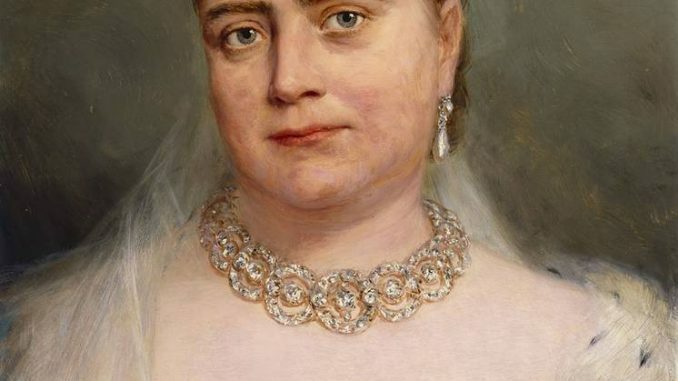 I can’t believe it – such a bad character.”1 Mary Adelaide would become known for her large girth later in life, and it was perhaps during the wedding of Queen Victoria and Prince Albert that people first noticed that she was somewhat large for her age. That summer Mary Adelaide, her elder sister Augusta and her mother visited the continent. After their return, a new governess was employed. On 28 June 1843, Mary Adelaide’s sister married their cousin Frederick, heir to the Grand Duchy of Mecklenburg-Strelitz. The ten-year-old Mary Adelaide adored her sister and was devastated by her departure. Mary Adelaide and her mother travelled to Schloss Rumpenheim to be with her family. They remained there for two months and were even joined there by Augusta and her new husband. By the age of 14, a governess was no longer required for Mary Adelaide, though lessons continued with Baroness Hammerstein, who also acted as her mother’s lady-in-waiting. In 1847, the family was shocked to learn that Mary Adelaide’s brother George had married in contravention to the Royal Marriages Act to Louisa Fairbrother and they had two children by that time. Mary Adelaide never received Louisa as her sister-in-law. On 8 July 1850, Mary Adelaide’s father passed away at the age of 76. She wrote, “The last day I never left him, for he liked to have me with him, when mama was for a moment called away to fan him and bathe his temples with eau de cologne, and then he would press my hand and whispered, ‘charming’, ‘dear.’ I have a hallowed recollection of my dear father as when I kissed his forehead for the last time a sweet and heavenly smile played on his lips, and but for their marble hue I could not have believed they were closed forever.”2 Her brother now became The Duke of Cambridge. Mary Adelaide was given away by her brother, and afterwards, they drove to Ashridge for the honeymoon. After two weeks at Ashridge, they went off to Württemberg, though the military situation made the stay not very enjoyable. After six months abroad, they settled in at Kew as guests of her mother. They would eventually move into Kensington Palace. Francis, who had no occupation, busied himself with decorating their new home. They had only just moved in when Mary Adelaide gave birth to a daughter on 26 May 1867. Initially, Agnes was to be her Christian named, but Victoria was considered to be more suitable. The Princess would become known as May to her family. Queen Victoria was delighted for her cousin, “I need not repeat to you, my dearest Mary, how truly, really happy I have been at your safe and prosperous confinement and the birth of your little girl. I have known you and loved you dearly from your earliest infancy… and your happiness has ever been near my heart – and therefore my joy at this event is most sincere.”8 A son named Adolphus was born on 13 August 1868, followed by a second son named Francis on 9 January 1870 and a third son named Alexander on 14 April 1874. Francis was created Duke of Teck by the King of Württemberg in 1871, which made Mary Adelaide Duchess of Teck. However, their new title did nothing for their financial situation which was becoming a bit dire. Mary Adelaide received an allowance for fulfilling royal duties, and it should have been enough if they had been more practical. In 1883, the family moved to the continent, where life was cheaper. However, their life there was hardly a royal exile, and they were treated like royalty wherever they went. Even the death of Francis’s father did not change their financial situation, for he had no money to leave them. By 1885, they were regularly back in England. The Teck family were part of the royal procession during Queen Victoria’s Golden Jubilee Year. In 1889, Mary Adelaide’s mother died at the age of 91. Mary Adelaide now turned her attention to marrying off her only daughter. And who better than a future King? Prince Albert Victor was the eldest son of the Prince of Wales, the future Edward VII. All parties seemed to agree they were the perfect match and the wedding was set for February 1892. However, he died on 14 January 1892 of influenza with his fiance by his side. The following year, May became engaged to her late fiance’s brother, Prince George and they married on 6 July 1893. Mary Adelaide’s daughter was to be the future Queen. The following year, May was pregnant and being fussed over by her mother. On 23 June 1894, May gave birth to the future Edward VIII. A second son, the future George VI, was born on 14 December 1895. By now, Mary Adelaide’s health had begun to fail. In the spring of 1897, Mary Adelaide underwent a hernia operation, but she recovered quite well. A few months later, the end came quite suddenly. The problem was a strangulated hernia, and she was again operated on. Afterwards, she was in satisfactory condition but soon relapsed and died in the early morning of 27 October 1897. May wrote to her aunt Augusta, “For papa it is cruel, and his sad state makes it so much worse, he was so despondent..and God knows what he will do.”9 She was buried in the royal vault at St. George’s Chapel, Windsor.